Throughout Cuba, you can find some of the most well preserved and biggest cores of Spanish colonial architecture in The Americas. This is one of the many reasons that Cuba architecture tours are one of the most frequent types of specialized tourism to Cuba. Authentic Cuba Travel gives visitors the chance to travel to those important historical sites whether they are found close to urban cities or in remote picturesque towns, and to hear from Cuban architects and locals, the authentic Cuba history behind them. During the period spanning from 1512 to 1519, Cuban governor Don Diego Velazquez founded the island’s first seven settlements: Santiago de Cuba, Nuestra Señora de la Asuncion de Baracoa, San Cristóbal de La Habana, San Juan de los Remedios, San Salvador de Bayamo, Sancti Spiritus, Santisima Trinidad, and Santa Maria del Puerto del Principe, now known as Camaguey. Today, much of these settlements remains intact and holds its original charm and antiquity, which can be explore on Cuban architecture tours from Authentic Cuba Travel. With incredible variety and a stark contrast between colors and textures, Havana City is certainly one of the most architecturally impressive cities in the world. The architectural diversity of the city is a perfect mirror for its political and social history, and it brings in architecture students and professionals from around the globe each and every year. Some of the finest early architecture in Cuba can be found in its military structures. Morro Castle, for example, dates back to the 16th century. Colonial architecture in Havana showcases Spanish, Roman, Greek, Italian, and Moorish influences. The Neo-classic style became wildly popular during the 19th century, and this influence can be seen in all of Havana’s buildings constructed during this time period. Started in 1859, the city’s Vedado district represents the peak of the neoclassic era of architecture, with all of the district’s buildings showcasing balanced proportions. The early 20th century marked a rapid expansion for Havana. An influx of significant wealth brought with it an influx of foreign influences on architecture. During this time period, Havana shared the spotlight only with Buenos Aires in terms of the most important cities in Latin America. 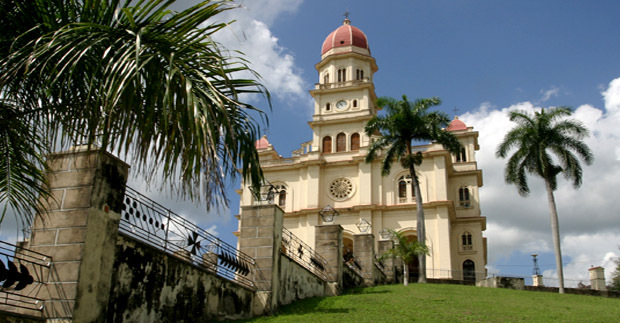 Havana is not the only city of architectural significance in Cuba, however, and the Historical Centre of Trinidad is a destination not to be missed. In 1998, the area was declared a UNESCO World Heritage Site. Here, participants in our Cuba architecture tours will find numerous buildings that date back to the 1700’s and 1800’s when the sugar trade brought immense wealth to the area. The Plaza Mayor, or Main Square, was the center of the hub, and a large number of the buildings here belonged to the city’s wealthiest landowners at the time. One of the most easily identifiable features of colonial homes within Trinidad is the red terracotta tile roof. These roofs were supported by wooden beams that extended beyond their walls, and pastel paint colors were quite common for the time. Plasterwork typically featured colors that worked in contrast to the tiles, and the doorway usually featured a larger door containing a smaller entrance door. Unlike homes in Havana at the time, which typically opened into an entrance hall or vestibule, the colonial homes in Trinidad usually opened directly into the main living area. Plaster moldings were also a common architectural feature on these homes. A tour to Cienfuegos is another important part of exploring the authentic Cuba architecture. The downtown area of the city includes 6 buildings constructed during the time period from 1819 to 1850, as well as 327 buildings that date to the time period from 1951-1900 and some 1188 buildings that were constructed in the 20th century. Nowhere else in the Caribbean can architectural scholars and professionals find such a unique array of neoclassical architectural structures in one place. In fact, the architecture of Cienfuegos is the first thing to greet the eye upon entering the city, with its unique combination of eclectic and colonial styles offering a visual history lesson that dates back to the earliest days of the Republic. Santiago de Cuba, another stop of our Cuban architecture tours, was, from 1522-1589 the capital of Cuba. It is currently the nation’s 2nd largest city. Santiago de Cuba is located on the bay’s eastern side and was founded in 1514 by Diego Velazquez. The city was the starting point for Hernan Cortes’ and Juan de Grijalba’s expeditions to the Mexican coasts in 1518 as well as the starting point of Hernando de Soto’s 1538 expedition to Florida. Santiago de Cuba’s first cathedral was constructed in 1528. In the late 1700’s and early 1800’s, Santiago de Cuba experienced a large influx in the number of French immigrants to the city. Many of these immigrants were coming from the island nation of Haiti in the wake of 1791’s Haitian Slave Revolt. The settlement of new residents served to further increase the city’s cultural diversity, which already had strong African and Spanish cultural influences. Noteworthy Santiago de Cuba stops for any Cuban architectural tour include San Pedro de la Roca del Morro Castle, Santiagos’ Cathedral, Parque Cespedes, the home of Adelantado Velazquez, and the Bacardi Museum. The last city that must be mentioned in this overview that highlights Cuba’s most remarkable architectural cores is Camaguey, once known as Puerto Principe. The historic center of the city is much larger than that of Trinidad and roughly equivalent in size to the historic center of Havana. Here, visitors will find small streets with odd and unique shapes dotted with churches as well as mansions with their homely courtyards. Common to the area are the large clay tinajones, massive jar-shaped objects that Camaguey City locals use to collect rain water.